Bosch Sensortec is launching an Interactive Projection Module that turns any surface into a virtual touchscreen, creating personal assistants from ordinary shelves and doors. The BML100PI will ship in Q2 2020 and provides always-in-focus laser projection for simultaneous multi-layer touchscreens as a complete ready-to-use system. A generated laser beam creates a focus-free image on any surface and then scans it line-by-line to detect any gestures or finger movements. No calibration or adjustment is required for accurate gesture and touch recognition. Bosch Sensortec’s Interactive Projection Module provides a touchscreen with a highly intuitive user experience for any smart home appliances as a fully flexible alternative compared to a static, physical screen. Home device manufacturers can use the BML100PI to create 'smart shelves' consisting of several simultaneous projections on the individual shelves for example in fridges, cupboards, kitchen cabinets or wardrobes. One module can provide touchscreen functionality on up to six different surfaces. For example, a single module can project a weather forecast, the user’s individual daily schedule as well as reminders of upcoming events on to a wardrobe. This information is processed and appropriate clothing is recommended to match the weather forecast and/or planned personal activities. The created look can then be shared with friends via social media – directly on the shelf surface. 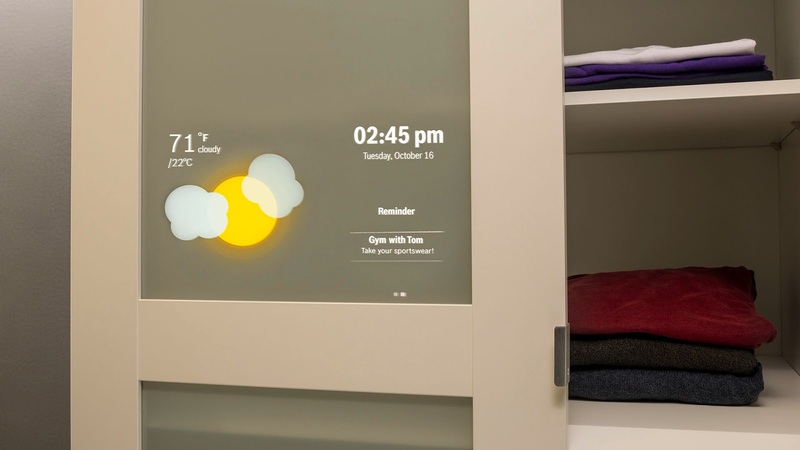 If an item of clothing is missing or in the laundry bin, the smart shelf can suggest new clothing for the user to order in an online fashion store or it can schedule a date for the laundry service, which is directly synced with the user’s calendar. "With this Interactive Projection Module any regular shelf can easily be transformed into a personal assistant for the user, greatly enhancing the level of convenience in people’s daily lives," said Dr. Stefan Finkbeiner, CEO of Bosch Sensortec. The BML100PI is a compact plug-and-play solution that enables manufacturers of smart home appliances and furniture to create entirely new, exciting use cases. This creates a huge potential for product differentiation for manufacturers. One key feature is that the module can project a sharp image on to any type of surface, regardless of whether it is dark, colored, wet, stepped or curved. It can thus provide interactive projection e.g. in bedrooms, home appliances or kitchen gadgets where suitable projection surfaces are often lacking. 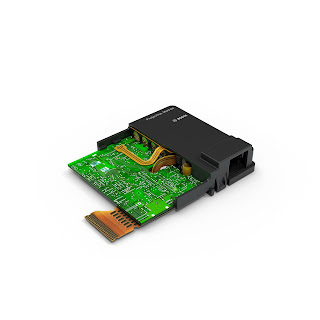 The BML100PI offers low power consumption of typically 2 W. With its footprint of only 47 mm x 43 mm it is smaller than a credit card. This enables manufacturers to simply integrate it into practically all new and existing smart home appliances – significantly easier than existing projection or display solutions on the market. In addition to the BML100PI module, Bosch Sensortec offers the BML100P variant, which provides the same projection features but without the touch functionality.